Medium Duty Trucks done right! The Business Class® M2 106 is designed for superior performance and efficiency, helping you increase the productivity of your business. It's also nimble, durable, and ready for work every day. 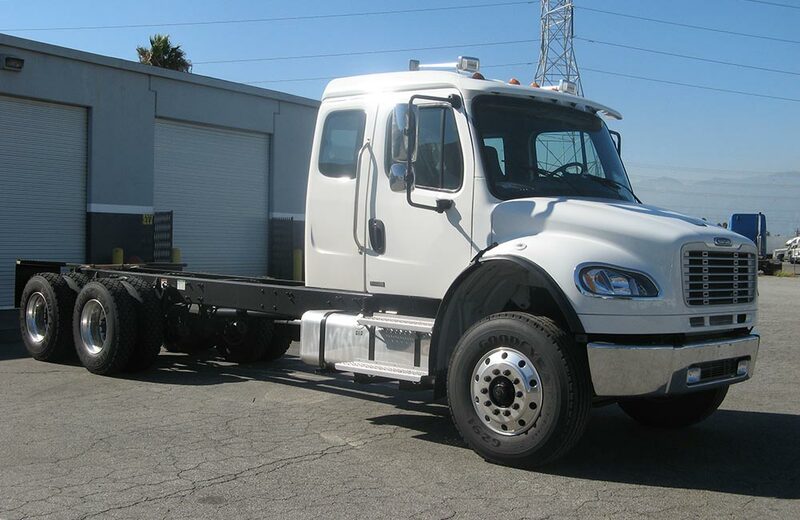 See for yourself why the M2 106 is a leading medium duty truck for sale by visiting us today. The M2 106 is the truck of choice for a variety of applications — from pickup and delivery to utility to towing. It offers exceptional flexibility, efficiency and maneuverability. Whether it's collecting garbage or delivering beverages, your truck needs to make it through the day, every day. That's why so many businesses choose the M2 106. The Business Class® M2 106 is designed with your overall business in mind. First, it's powered by a Cummins ISB or ISC engine to deliver the strength and performance you need to maximize productivity. The ISB engine is the lightest engine in its class, and the Cummins ISC has the largest power/torque ratings in the medium duty market. And the steel-reinforced aluminum cab makes the M2 106 durable and safe. You can further configure the M2 106 to your specification. It's available with manual and automated-manual transmissions from Eaton Fuller, automatic transmissions from Allison, or with the proprietary Freightliner AMT3™ automated-manual transmission. 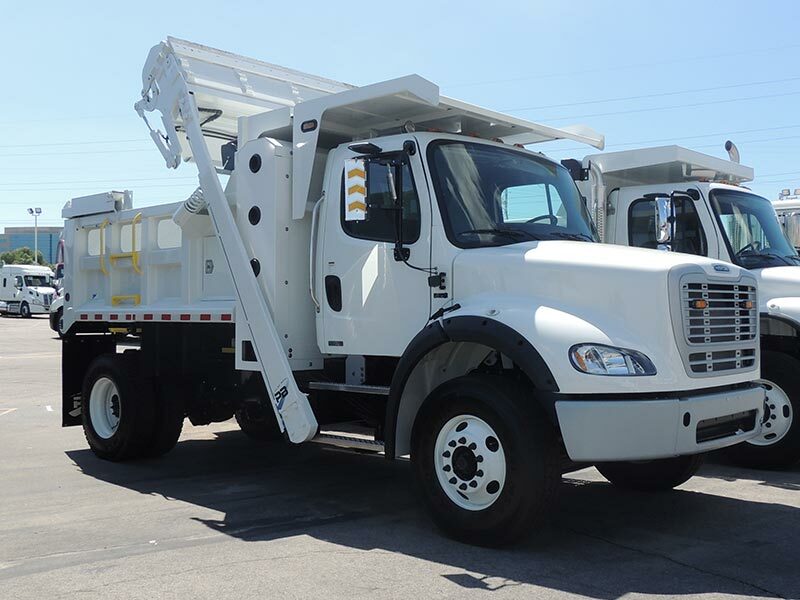 Heavy Duty Performance and Versatility The Business Class® M2 112 is a performer — on the road, on city streets and on the bottom line. It's a workhorse for whatever work you need done. The M2 112 is the truck of choice for a variety of applications — from regional haul to urban food and beverage delivery. It offers exceptional flexibility, efficiency and maneuverability. Whether it's delivering beverages or picking up freight, your truck needs to make it through the day, every day. That's why so many businesses choose the M2 112. Designed with a spacious, ergonomic interior, and a variety of other smart features, the M2 112 keeps drivers comfortable so they stay productive all day long. 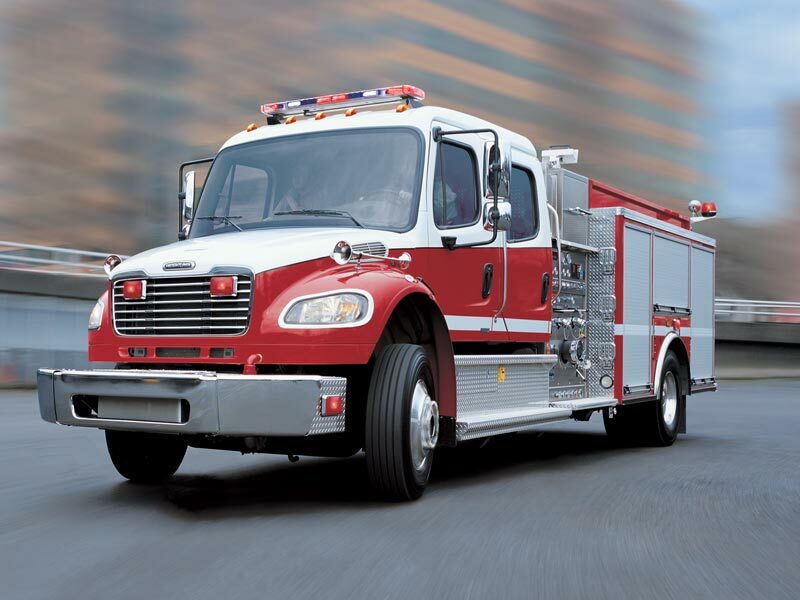 The M2 112's powerful Detroit DD13® engine boasts horsepower ratings from 350 to 450 hp and up to 1,650 lb-ft of torque. Or to maximize your payload, you can specify a Cummins ISL or ISC engine. For those wanting to go green while saving some green, the M2 112 also is available with the cleanest fuel technology available – natural gas. 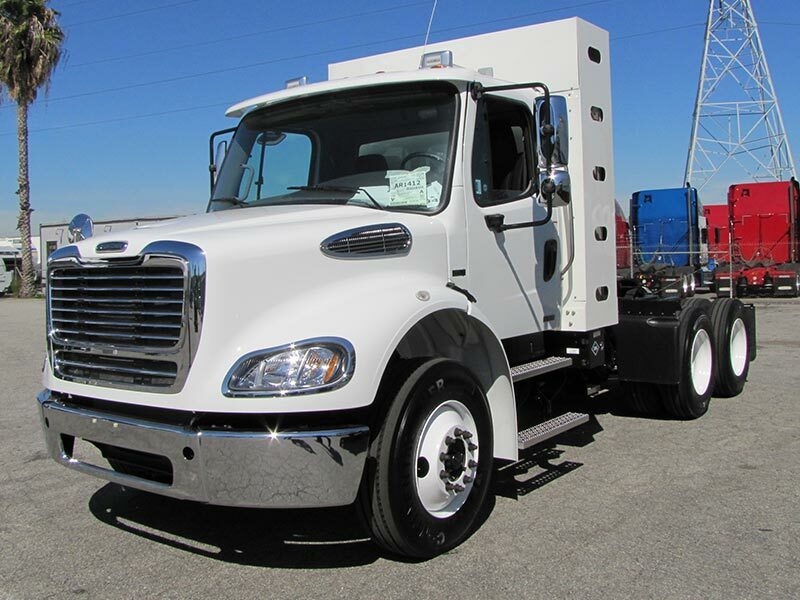 Learn more about the M2 112 Natural Gas with the Cummins Westport ISL G natural gas engine. Transmission options include manual, automatic and automated transmissions from Eaton Fuller and Allison. 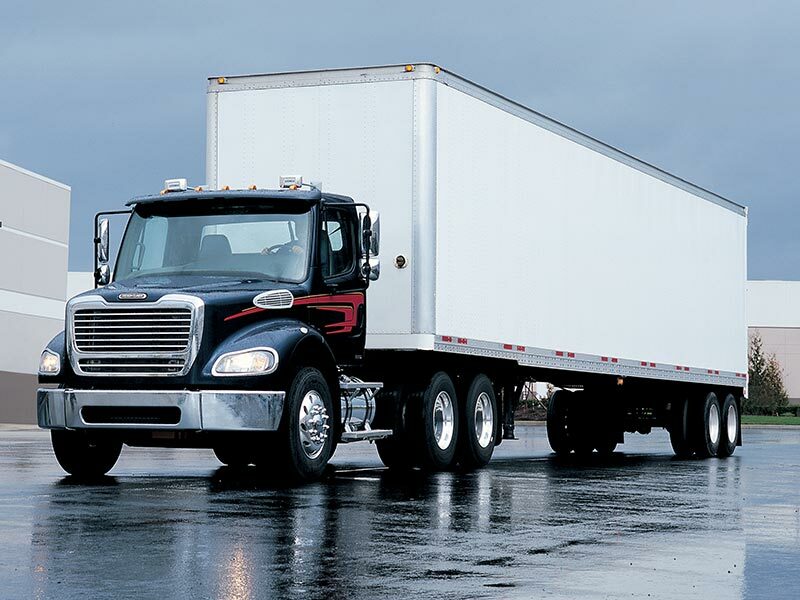 Freightliner's SmartShift option offers hands-on-the-wheel shifting. 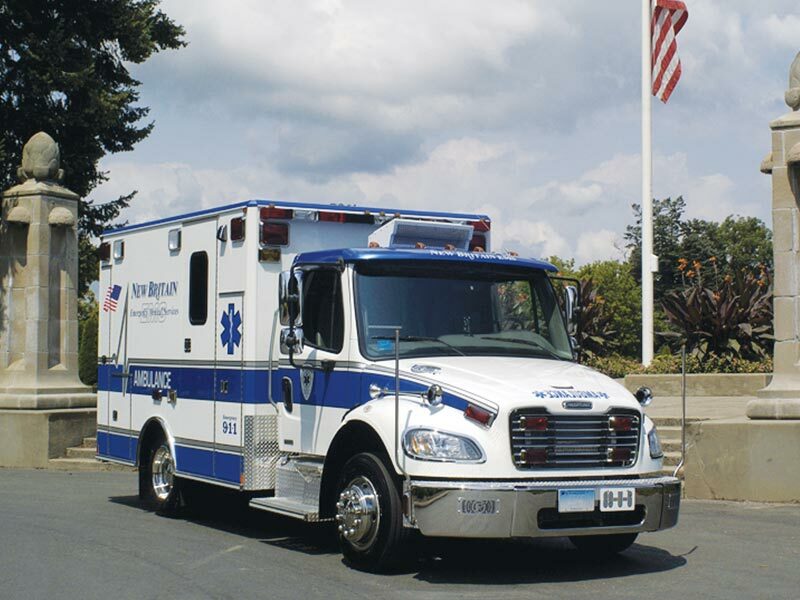 And, the M2 112 features a lightweight aluminum cab to maximize payload and resist corrosion. Finally, the M2 112 performs well in tight spots and on tricky routes. It's very agile, featuring a wheel cut up to 55-degrees, a set-back front axle and a swept-back bumper. It also offers excellent driver visibility for spotting potential hazards, with a 2,500 square-inch windshield, aerodynamic sloped hood and low-profile dash.